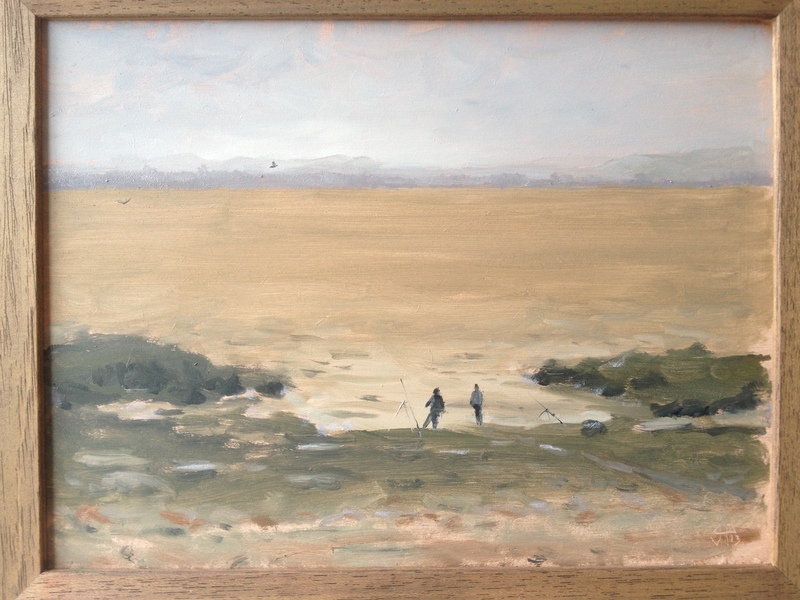 Been painting a few more plein-air landscapes on the beach in Portishead. I went down a few weeks ago wondering what to paint and thought I’d base a picture around the two fishermen I could see. I decided to pack in when I couldn’t feel my fingers any more, which only took about 45 minutes, luckily this was the same time the fisherman left. They’d spotted me painting and were enthusiastic about taking a look leaving the beach and were keen enough to take take the site details from me. So, as promised, here it is following a small about of remedial work to make the sea horizontal! 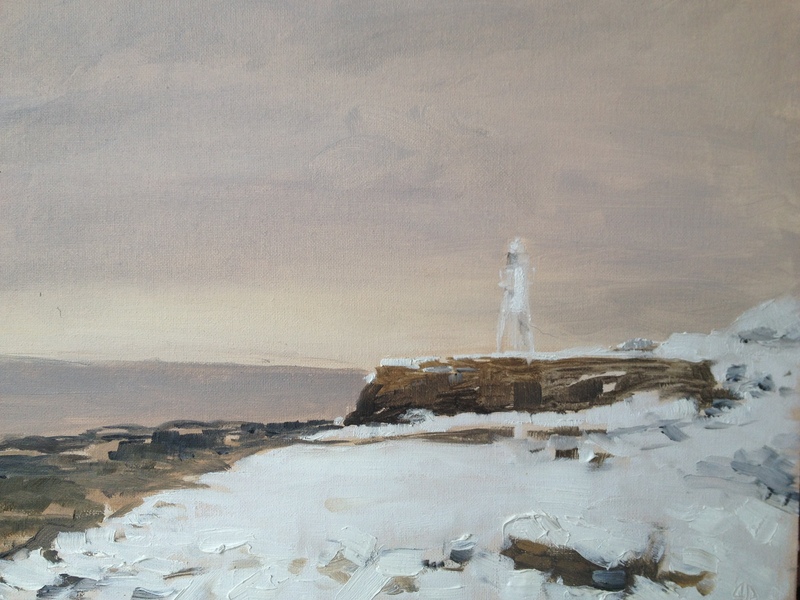 Here are a couple more painted a few weeks earlier during the snow. Anybody know the name of the factory featured? 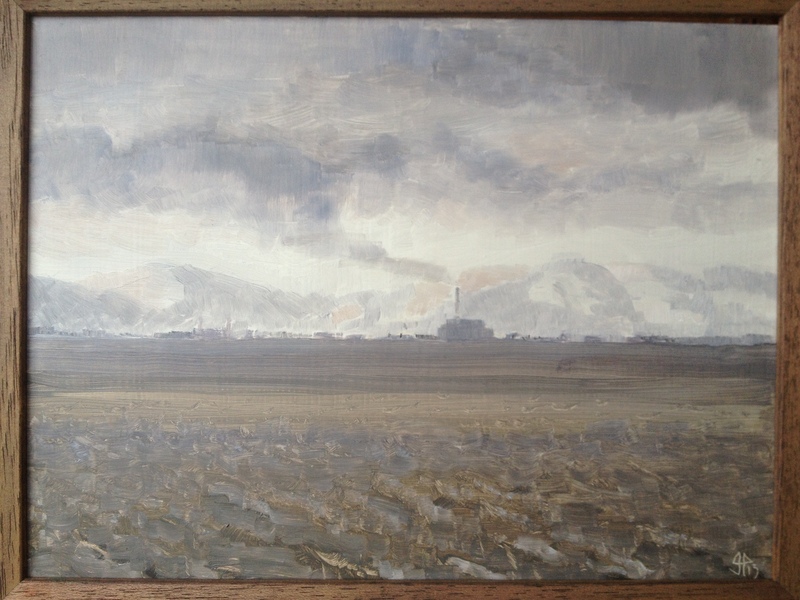 This entry was posted in recent work and tagged landscape, plein air, Portrait art by ianpriceart. Bookmark the permalink.